Arsenal are eyeing Borussia Dortmund striker Pierre-Emerick Aubameyang to replace departing forward Alexis Sanchez who is on the verge of securing a move to Manchester United. Dortmund have demanded Olivier Giroud on loan to agree on a deal for the Gabon international. Arsenal are all set to lose their marquee forward Alexis Sanchez as he looks set to seal a move to Manchester United after agreeing terms. The deal is soon to be announced and Sanchez has reportedly already completed his medical and is waiting for renewal of his work permits to finally settle in Manchester. As the move edges closer, Arsene Wenger who had assured that the club would bring in suitable replacements before they let go of the Chilean. With Borussia Dortmund striker Pierre-Emerick Aubameyang and Brazilian forward Malcom lined up as potential replacements, it appears likely that the club would have to release another player to make weight for the deals. 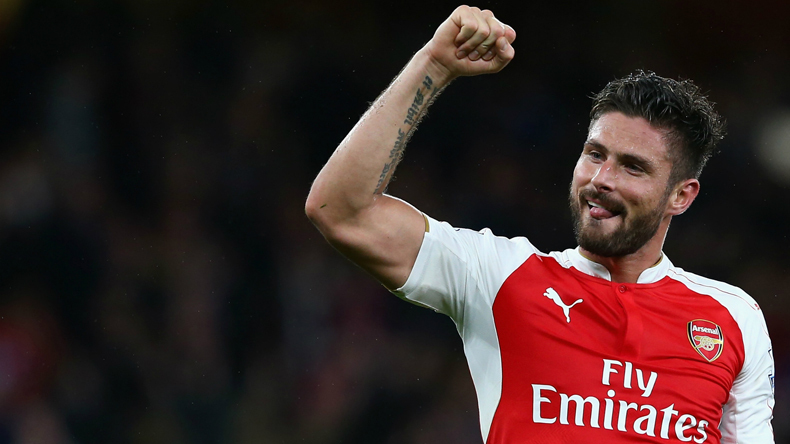 French striker Olivier Giroud will be heading the other way for his club to land the Gabon international. As per a report in Kicker, Olivier Giroud will join Borussia Dortmund on loan for the rest of the season, if Pierre-Emerick Aubameyang completes a move to Arsenal. He was earlier reported to have agreed a multi-million move to China for the rest of his career but now prefers Arsenal as his next destination. Key figures from Arsenal travelled to Germany on Sunday to hold talks with Dortmund over a deal for Aubameyang, having made their first offer of €50 million on Saturday, stated the report. Sanchez’s departure is set to leave huge boots to fill at Arsenal but Wenger insists incoming arrivals are going to further strengthen the dugout. Manchester United’s Armenian playmaker Henrikh Mkhitaryan is also reportedly included in the Sanchez deal which will be a straight swap with no cash involved. Dortmund, on the other hand, are holding out on a fee close to €60m for Aubameyang. The Bundesliga giants also want Giroud to be included on a loan deal with an option for a permanent buy.